Caroleann joined our firm in August of 2017, bringing with her an abundance of real experience representing injured workers and those harmed by the negligence of others. During her time at Dwyer & Coogan, she has demonstrated tremendous talent in the practice of law and was promoted to Partner inNovember of 2018. Caroleann has a wealth of experience, a strong work ethic and a never ending commitment to building her relationship with her clients. Caroleann grew up on a small island, off the Northwest coast of Ireland. She qualified and practiced as a lawyer in Ireland, from 2004 through 2008. In early 2008, during a short visit to Chicago, she met her now-Husband (also Irish-born), in an Irish Bar on the Northwest side of the City. Following that chance encounter – Caroleann emigrated to Chicago and after successful completion of the Illinois State Bar Exam, she began her US career at a personal injury and workers compensation law firm in the City. For more than 8 years, Caroleann represented labor and union workers and their families and headed up her firm’s Personal Injury Department. 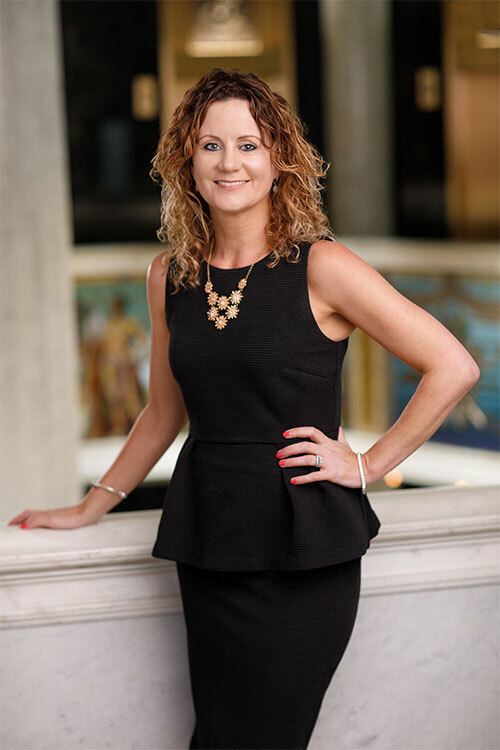 Immediately prior to joining Dwyer & Coogan, Caroleann also worked at a nationally-renowned injury law firm, with a particular focus on medical malpractice and nursing home injuries. In her year there, Caroleann secured $3.3 million dollars in verdicts and settlements, for the victims of nursing home negligence and abuse. Caroleann has always had a strong affinity for the working man and their families. Her father and three brothers have worked all over the world, as tunnel miners. Married to a construction worker, she is always conscious of the devastating impact an injury can have on a family. For Caroleann, the most rewarding part of her career, is that she has been able to help people who find themselves in very vulnerable and unfamiliar situations. Caroleann says, “I really want to take the stress and worry away from my clients, their focus should be on healing themselves, while I worry about their case. I know it is hard for people to relinquish control of situations, where so much is at stake and I really feel grateful that my clients place their trust in me. If I can ease their burden in even the smallest way, I feel honored and fulfilled”. As an immigrant herself, Caroleann has experienced the difficulty of uprooting from home and coming to live in another country. Recognizing that and wishing to help others with the transition, Caroleann became a member of Irish Community Services, a not-for-profit immigration and social services provider which services Irish immigrants and Irish Americans in 19 states. Caroleann is heavily integrated in the Irish American Community and has been part of many community led initiatives and campaigns to give back to those who find themselves facing difficult situations. As the mother of two little girls, Ava and Ana, Caroleann works very hard to provide that American Dream for her family.